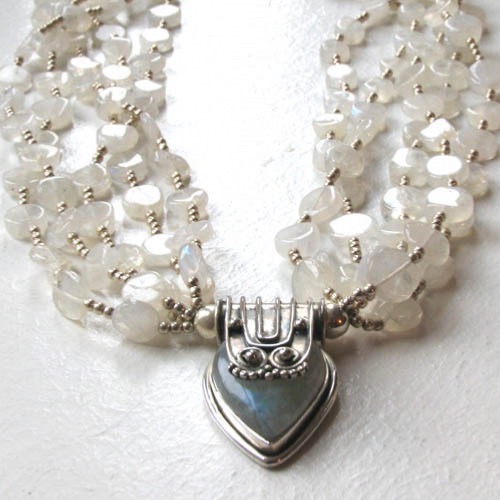 Rainbow moonstone bead pendant necklace. 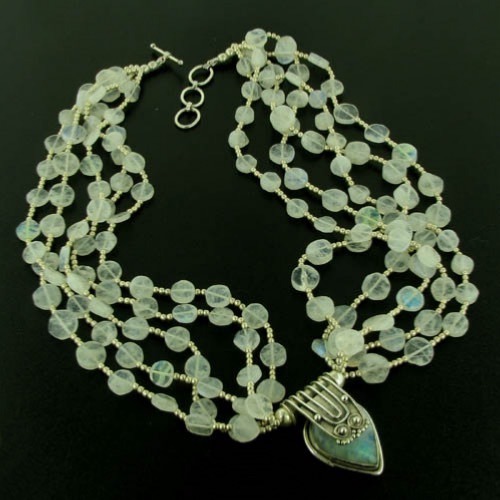 This multi strand necklace features beautiful rainbow moonstone beads glowing with colour and interthreaded with delicate sterling silver beads. 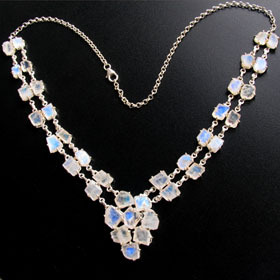 This necklace is drop dead gorgeous - the moonstones glisten with characteristic schiller when they catch the light. 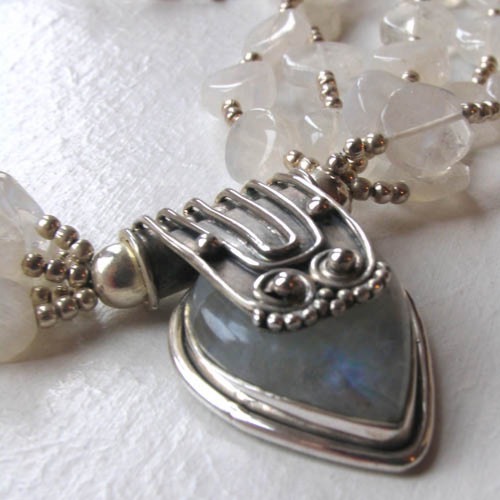 The pear drop pendant is set into a chunky sterling silver frame and attached to the 5 strands of beads with an ornate bale. 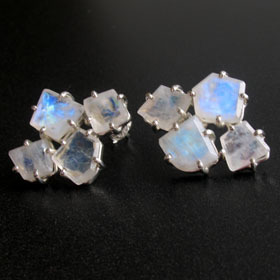 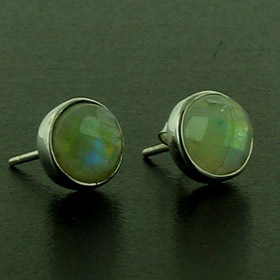 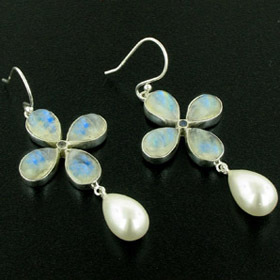 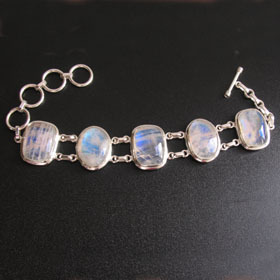 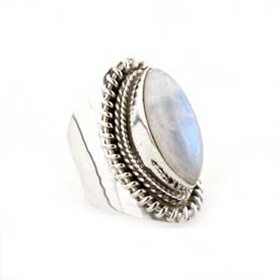 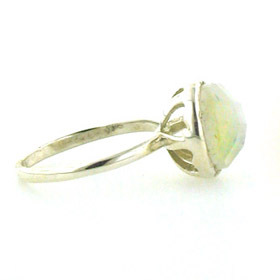 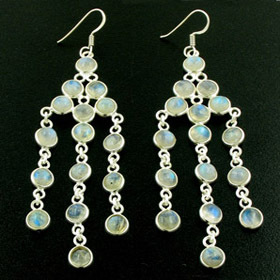 The moonstone beads are round and measure 8mm in diameter and are 2mm thick. 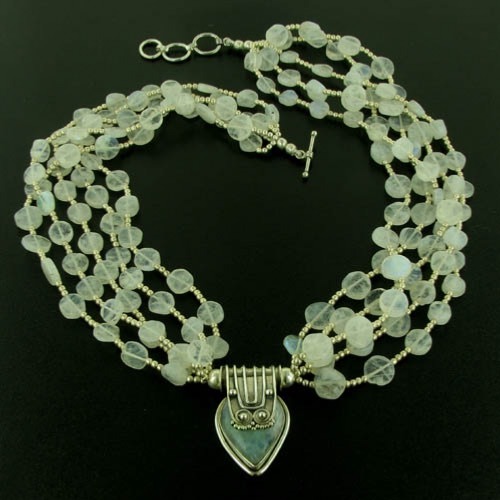 Wear this moonstone bead necklace with the strands open or twisted.